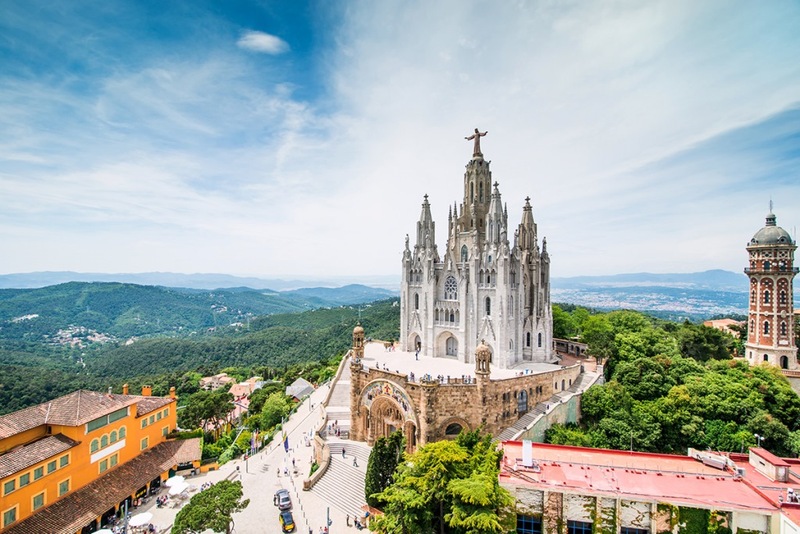 Tibidabo - one of the highest points of Barcelona, and despite the fact, it is not easy to get here, worth it, hence the city at a glance, it extends in all its breadth, alone beauty of Barcelona in front of you, where the eye can see. Nice breeze and desire to rise even higher, there, where Christ, Like his brothers in Lisbon or Rio, opens its embrace of the world. 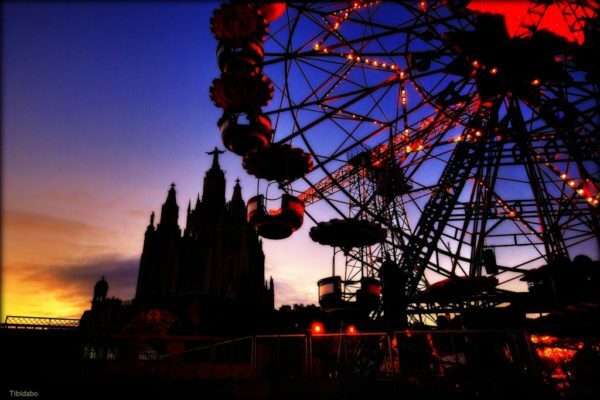 Tibidabo name is rooted in religion. 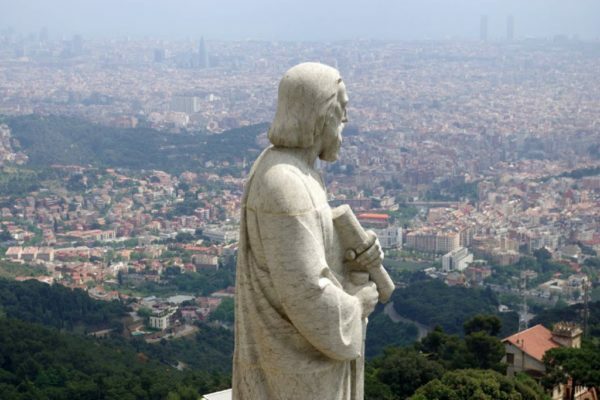 According to legend, the devil tempted Christ on the mountain, offering him all the beauty of the world. You give! - whispered sly son of God, that sounds like «Tibi Dabo» on the great Latin. enjoying views, views from this panoramic site, you can imagine, how difficult it was to Jesus refuse such a tempting offer, but he did not give in and give us the joy of all the earth, people mortal. After such a grand event at this place, it was decided to build a temple, which was named "Basilica of the Sacred Heart". Facade temple is configured such, it seems, if the building strives upward, to the heavens. The apotheosis of the visit to the Basilica of Tibidabo will climb the spiral stairs to the observation deck at Jesus' feet, standing on a, even the bravest heart-stopping. 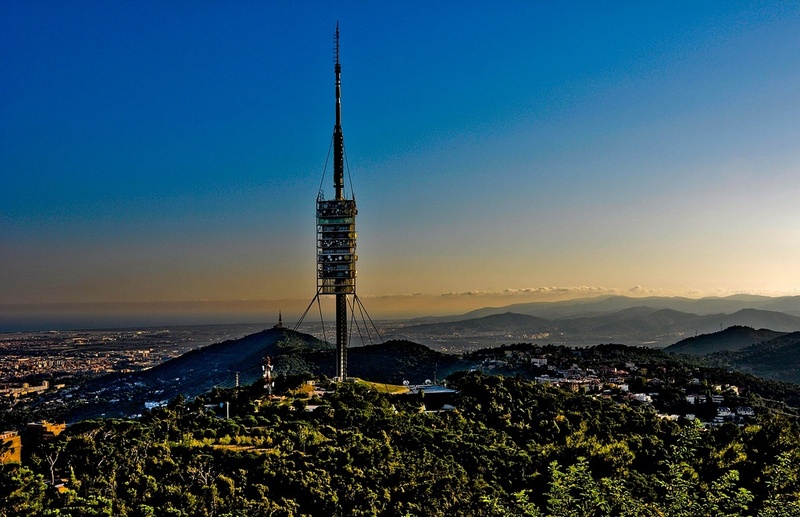 Here is dominant 575 meters above sea level will appear all the beautiful world, the god of the people in control. 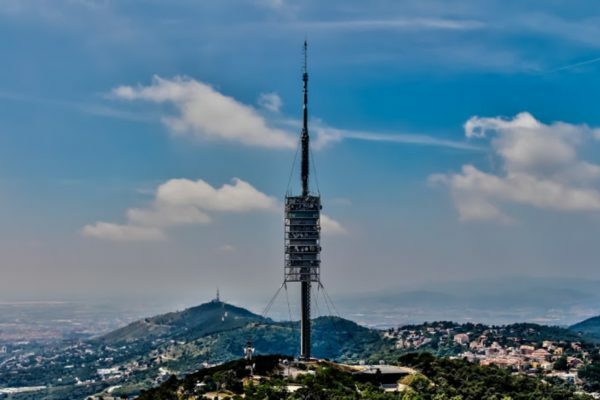 Tibidabo suggested to go on and capture the whole family with a peak-products nickname, as the top is almost no cafes and restaurants. 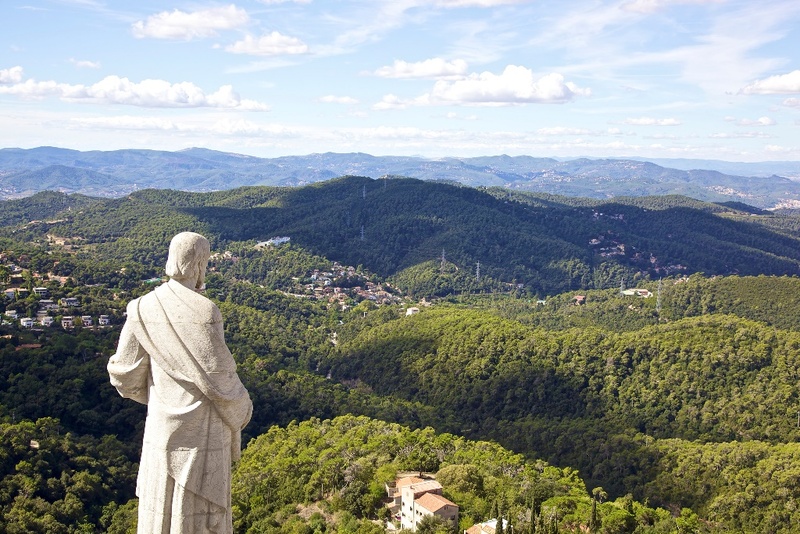 In addition to the Temple of Sagrado Corazón on the mountain there are many more amazing. 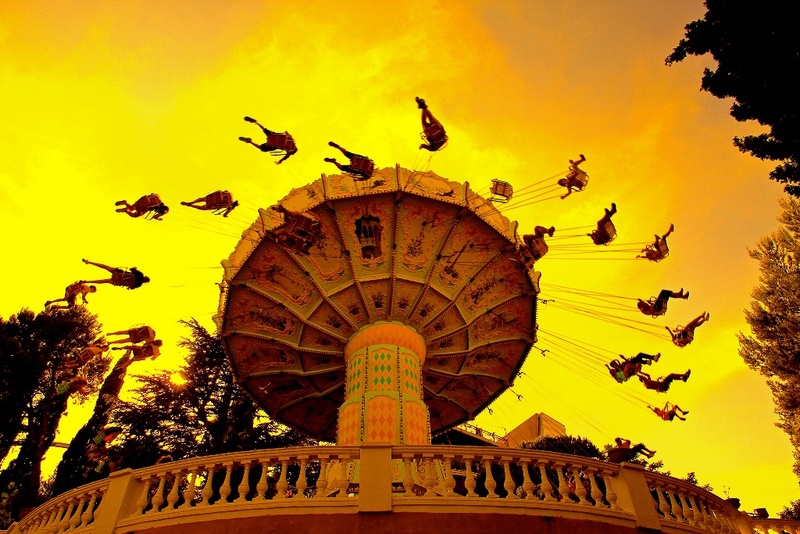 for example, there is an amusement park, which is over a hundred years. 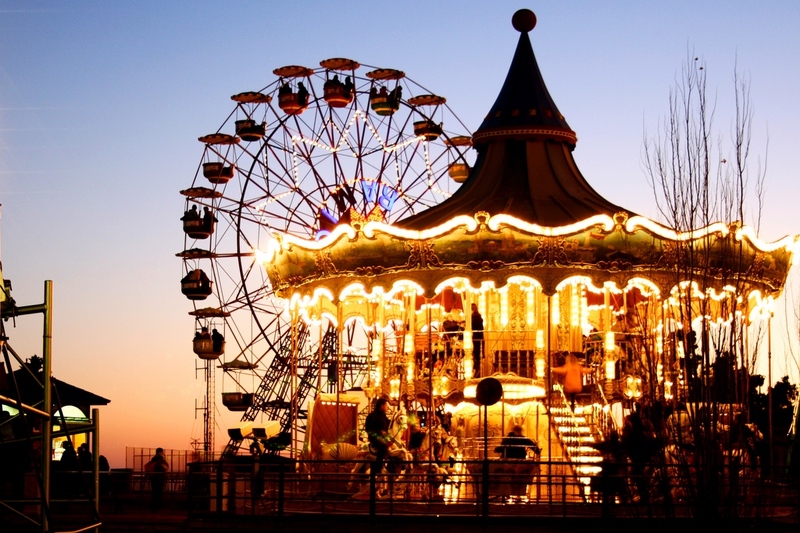 It is especially delight the little ones, but adults are sure to impress. This is the second theme park, built in Europe and one of the oldest in the world. 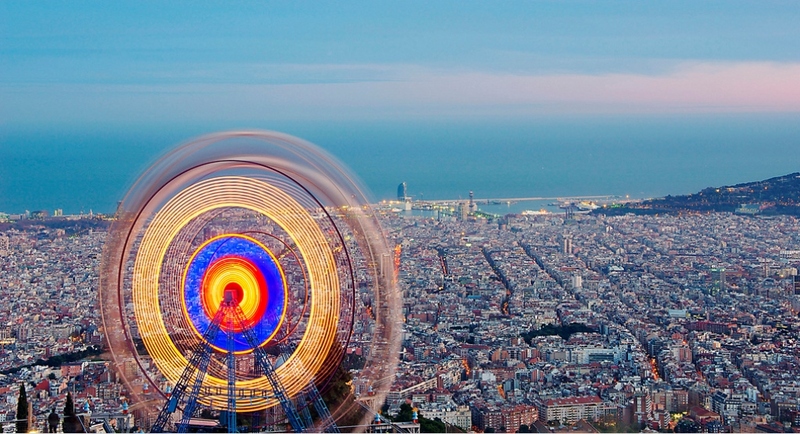 Stunning view from here, there is probably the world's other big wheel with review. 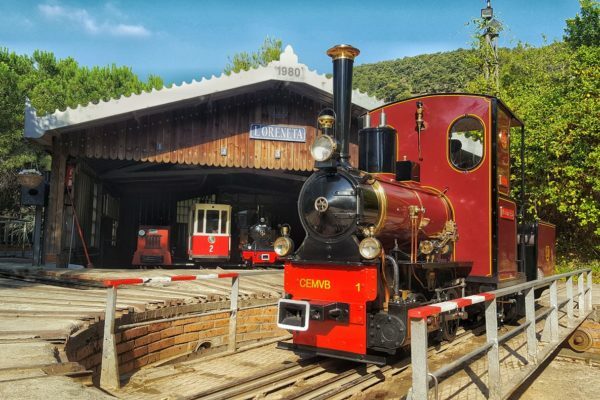 The park was built in 1889 in upper Raval. On its territory there is a museum of vintage slot machines. 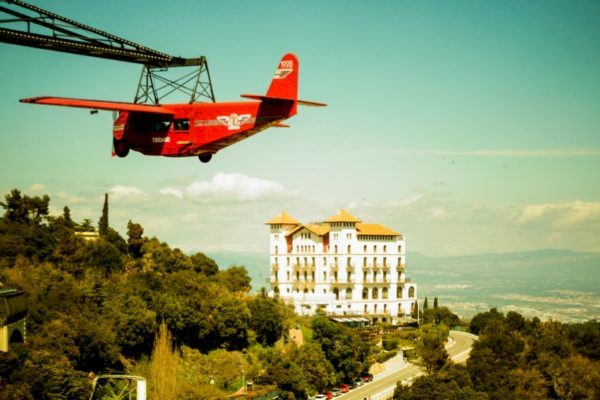 Of course, if important to you and the quality of adrenaline rides, instead of admiring views of the city, then why not go to ride out of town, a vast and modern fleet Port Aventura. 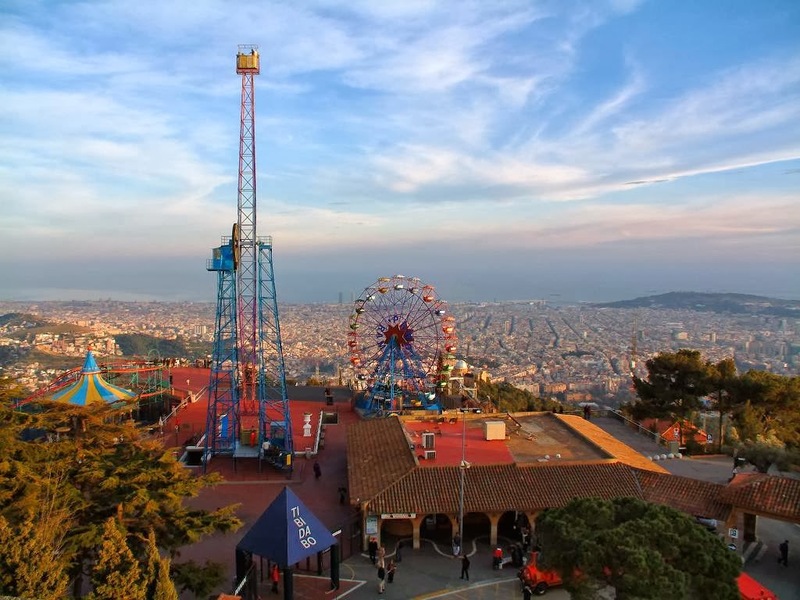 But if you are a romantic and love of retro, you will be pleased to take a ride on the carousel at sunset or fly over Barcelona on a red airplane, which is an almost exact replica of the aircraft, flying from Barcelona, ​​and Madrid back. 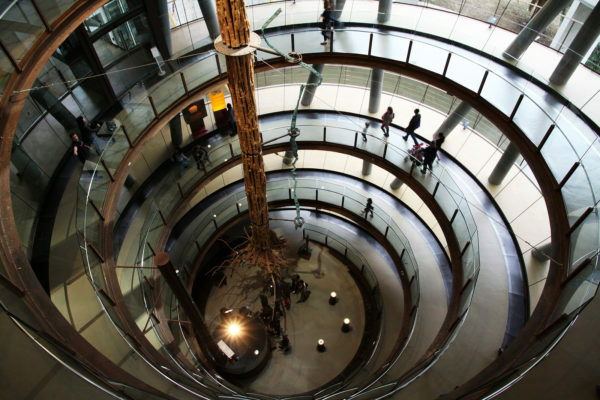 Entrance to the park costs 28.50 €, for those, those below 120 cm - 10 €, and the, those below 90 cm - free admission. 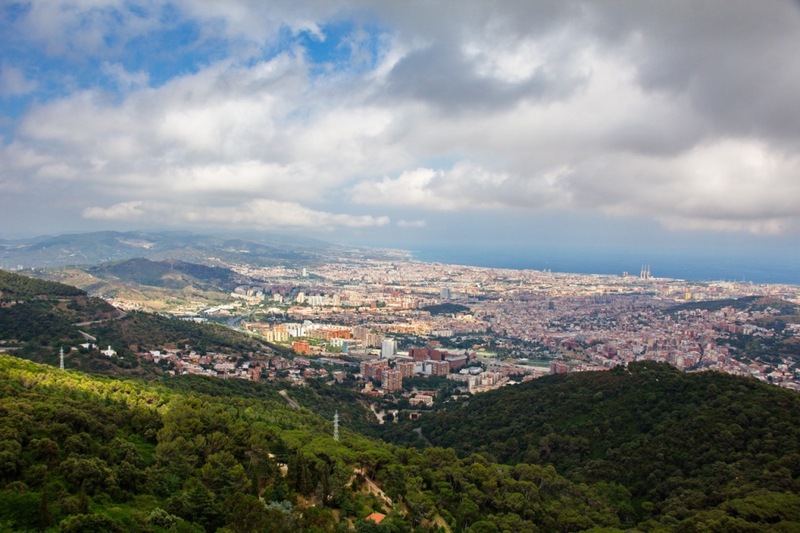 There is an alternative route through the park, called «Camí del Cel» (Heavenly Way), it includes only selected attractions, only 7 of 25. 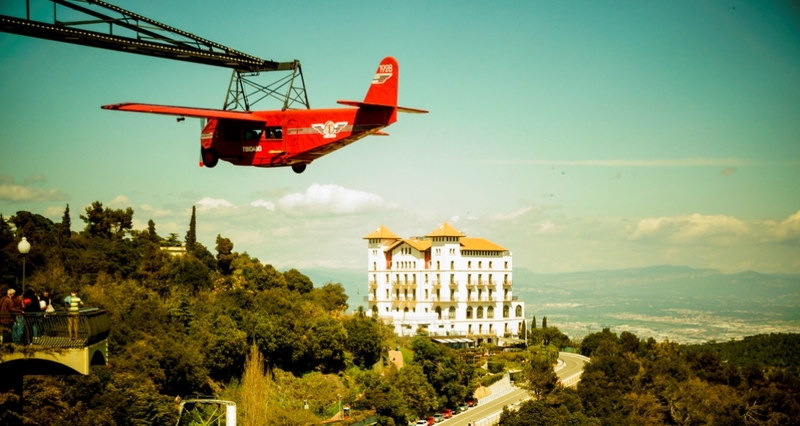 Tickets for these attractions is 12.70 € for adults and 7.80 € for children. This part of the park is open every day from 11 in the morning, even when the main part of the park is not working. 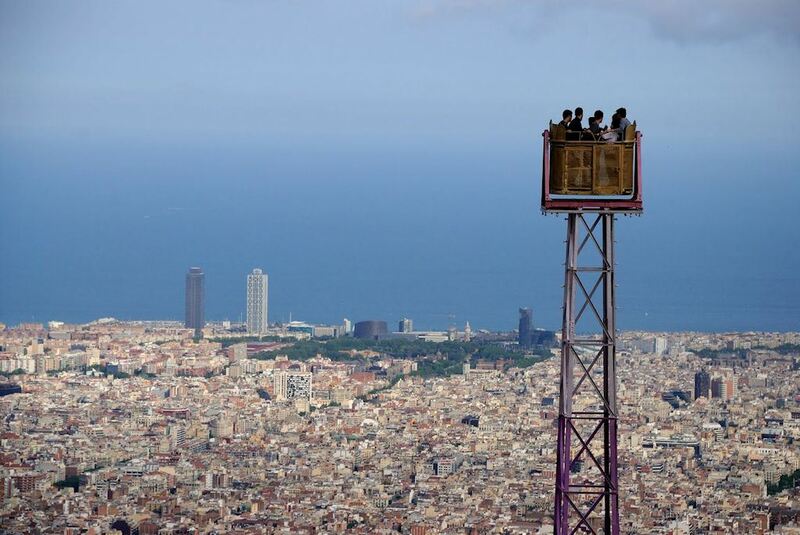 In summer the park is open from Wednesday to Sunday 12-00 to 21-00, Only in the fall and winter weekends. 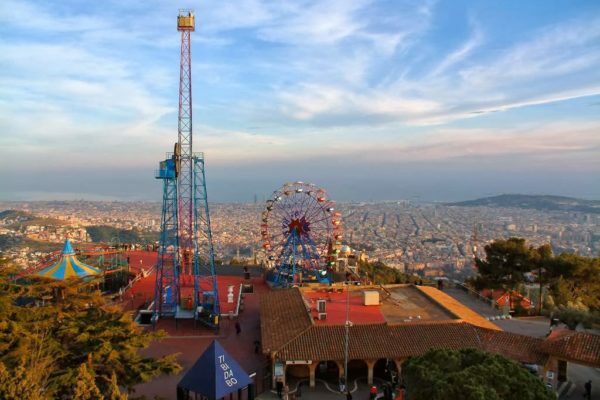 In good sunny weather at the Tibidabo, you can spend the whole day. Just over the hill is a huge park Collserola Park, in which a lot of places, equipped for peak nicknames. 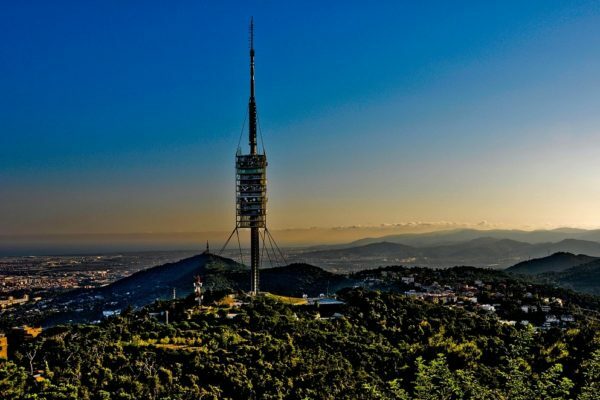 In close proximity to the Tibidabo is the TV tower, created by the famous Briton Norman Foster «Torre de Collserola». 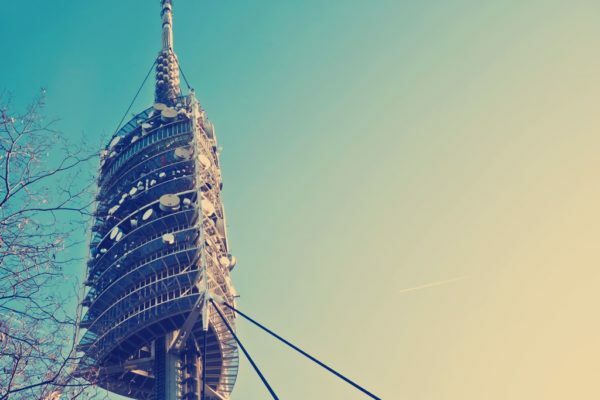 This futuristic tower, whose height 268 m, It became the tallest building in the whole Iberian Peninsula, and, like Temple, visible from any corner of Barcelona. 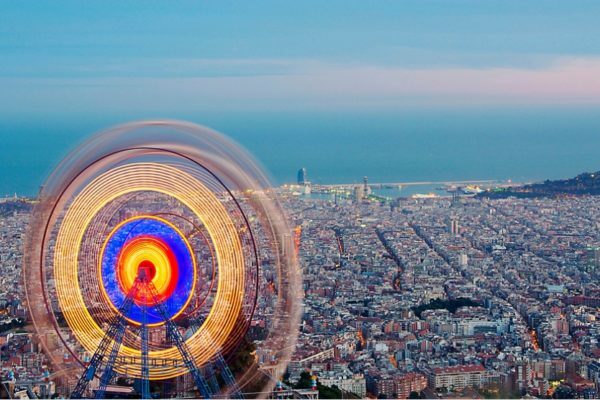 How to get to Tibidabo: Taxis to the city center will cost about 20 €. 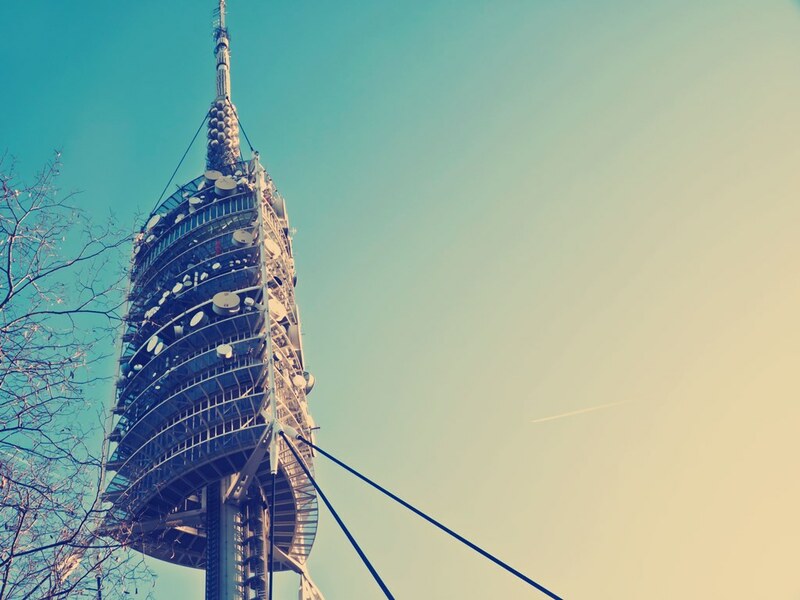 But also from the Plaza Catalunya with 10-30 every morning 20 special bus departs minutes Tibibus. The ticket costs about him 3 €. Он останавливается на углу и Plaza Catalonia Ramblas Catalonia. But there is one "but", this bus runs only on days, when opened amusement park Tibidabo. If the bus is not, but the money for a taxi do not want to spend, We advise to sit on Plaza Catalunya in the underground station near the entrance to the subway in a cafe on the Zurich commuter train FGC line S1 or S2, travel 15 minutes to Baixador de Vallvidrera station and from there take a stroll through the reserve to the top of Tibidabo. This walk will take about 30 minutes and is very pleasant. You can go on the signs or own navigator. 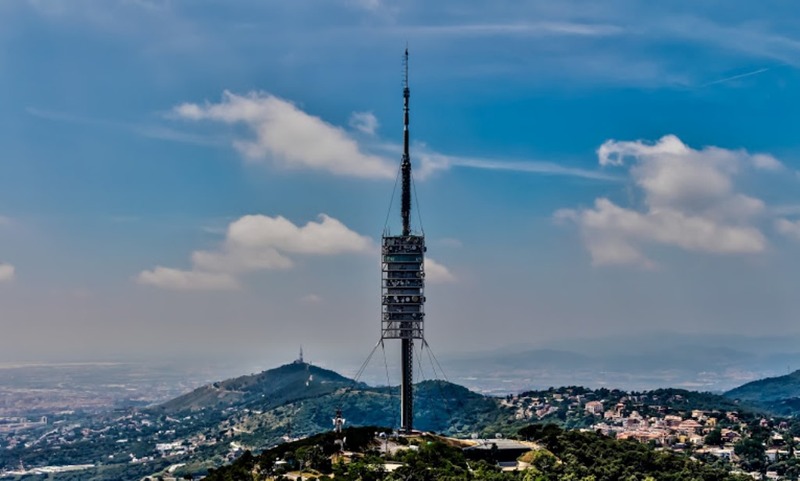 If such experiments are not for you, while at the same station at Plaza Catalunya, take the train line L7, coming to the station Avinguda Tibidabo, which sit on the first bus 196 or a favorite with tourists blue tram, and then go up the cable car to the top. Generally, if you have three or four, easier and cheaper to catch a taxi.